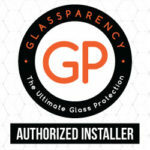 Auto Window Tint- Protecting Cars And Health In Jacksonville, Fl. With the continuous assault from the elements, your car needs all the help it can get. Auto window tint is one surefire way to give your car the looks to die for yet keeping it protected. In this age of global warming, tinting the windows of your car will not only make your ride look cool, it will protect your car’s interior from the damaging effect of heat and sun glare while keeping your protected from the cancer causing UV rays. Your car windows can only do so much when it comes to offering protection from potential dangers. It is therefore right you stay a step ahead and have the windows of your vehicle tinted. Tinting will block up to 99% of UV rays. These rays can be detrimental to your eyes. Plus, they can cause skin cancer, premature aging, and one-arm tan. So note that when you have your car windows tinted you are also protecting your health. Additionally, it can also make it difficult for unwanted eyes to see kids or other people in the car. This will help protect them from the potential dangers from kidnappers or other criminality. Keeping the interior of your car cool during the summer months in Jacksonville requires you using the air condition. And this means you’ll be burning a lot of gas thus increasing carbon emission. However, window tinting will help keep the temperature within your automobile cool so you won’t have run the AC for long or on high. The result is that you’ll be using less gas which invariably means lower emissions. Drive around with stealth like powers without worrying about peeping toms seeing the inside of your car. This also means that valuable items are kept away from prying eyes. Continuous exposure to the rays from the sun will cause the upholstery and other interior parts to fade, split or become discolored. 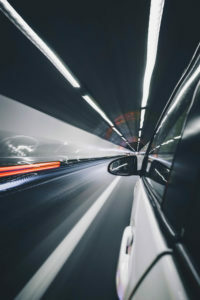 When this happens, the value of your vehicle depreciates and this can also cause you to spend money in repairs or replacements. The good news is that window tints will help protect your vehicles interior thus preventing these damages. Auto window tint is also a wise economical decision. By tinting your car, you’ll be able to avoid spending too much in gas purchases since you won’t require the AC to run overtime before achieving the desired coolness. So also, by preventing sun damages to the interior, you will be avoiding additional expenses in repairs or replacements. Glares can be very annoying when you drive. Plus, they cause a great of distraction which can be dangerous. Auto window will prevent these glares allowing you to enjoy your drive while remaining focused on the road ahead. The Llumar CTX series is our most popular film. It is a ceramic film meaning there is a layer of nano ceramic material that allow it to block out more heat while blocking 99% of those damaging UV rays. You are probably already familiar with the insulating properties of ceramic, it works the same way in keeping the heat out. Not only do you get the sleek look and added privacy, you get some of the best performing heat rejection film on the market all without interfering with any of your electronic devices. These advantages together with the Llumar nationwide lifetime warranty and this is what makes the CTX our best seller. If you want UV and heat protection without the dark look of traditional window films, the Llumar AIR Series Tint is the answer. This is a ceramic based film which allows it to block out up to 43% of the solar energy (heat) and 99% of UV rays. Once this film is installed on your glass you wouldn’t even know it was there. These benefits make this film a great choice for windshields or for people who want the benefits of window tint without the lower visibility. The Llumar ATR series is our other option for films designed to reject heat. It works the same way as the CTX, but uses a metal in between the layers of film. This works really well for heat rejection. Couple that with the distinctive look of the charcoal color and you have a winning combination. The ATR series looks great while keeping heat out of the car. Our Llumar ATC series is our premium dyed film. While it doesn’t perform as well against the heat, it still looks great and adds an extra layer of protection to your factory glass. Copyright © 2018 – 100% Tint Window Tinting Jacksonville – All Rights Reserved.